Synopsis from Goodreads: In the shadow of Auschwitz, a flamboyant German industrialist grew into a living legend to the Jews of Cracow. He was a womaniser, a heavy drinker and a bon viveur, but to them he became a saviour. This is the extraordinary story of Oskar Schindler, who risked his life to protect Jews in Nazi-occupied Poland and who was transformed by the war into a man with a mission, a compassionate angel of mercy. The story itself is heart-breaking as well as heart-warming. The true story of Schindler is truly awesome. The cruel and inhumane circumstances created by Hitler brought out the worst in some people, but in others, like Schindler, it brought out the best. Sometimes to his own detriment, which never stopped him. Unfortunately I really did not enjoy the way the book was written. There was a lot of name dumping and information dumping throughout the book, making it feel like one of my boring high school history books. On top of that, it seemed like most was in chronological order, but not everything. At some points in the book, the story looked back or forward in time, making it more confusing that necessary. Even though there are a lot of moments in the book that should make you emotional, it wasn’t until the very end of the book that I felt anything at all. I feel like a lot of reviews do not necessarily review the book, but the story and the legend of Schindler. If I were just reviewing that, I’d give it 5 stars as well. That’s not what I’m doing though. The book is very hard to get through, which has nothing to do with the subject matter, but everything with the writing style. In this case, the movie surpasses the book. It is more accessible and easier to follow. Fun anecdote: As a kid, I used to think that the title in Dutch was Schinders List (I didn’t realize this was the English title). As ‘list’ in Dutch translates to the English ‘ruse’. The title made sense to me that way. After all, Schindler invented this ruse to mislead the Nazi’s. 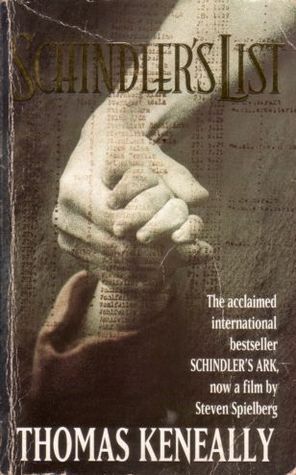 To this day, the original title of Schindlers Lijst (=List), doesn’t seem as good to me. Oh, being forced to watch that as a movie cannot be fun. I loved it, but watching it at an age that you’re not ready for such topics and violence cannot be good, no matter what. If you’re interested in WW2 and like to watch something with a somewhat happy ending, this would be perfect though! as for WW2, it can be a bit hit or miss for me, but when I do like it I love it! In german, List apparently means the same as in dutch, and like you, I misunderstood the (still very matching) titel as a kid. Too bad the book’s a pain to read, though.